JW Player 7 for WordPress – Premium 1.4.2 is out! 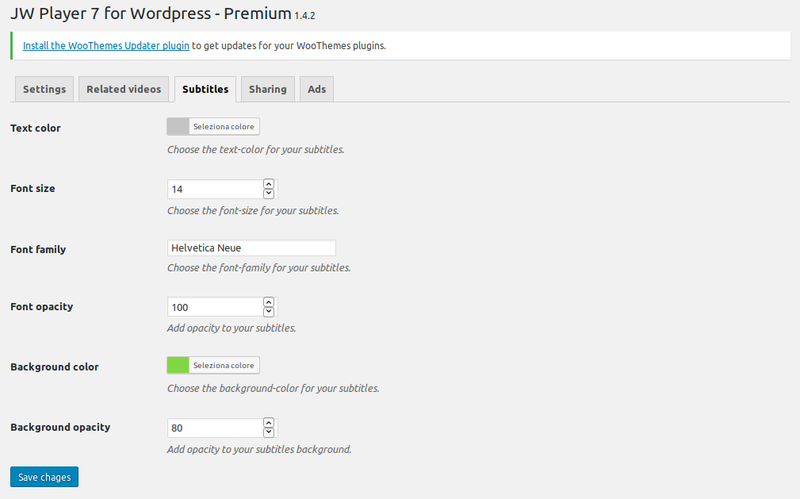 This update adds a new tab in the plugin options page, dedicated to the subtitles customization. Also, now you can choose to activate the subtitles by default, without the necessity to use the CC menu. JW Player requires always the direct link to the media source, the only exception is YouTube. What you can do with the plugin depends from what JW Player can do.